One day you have a normal life, the next you are on the run because you are a spy. Douglas Quaid, played by Farrell, wants a bit of excitement in his life so he visits Rekall to get some cool memories of a life he has never had. However it turns out he already had that life and now he is on the run. Everyone knows that this is a remake of the Arnie classic but does it hold up to the original. The story has changed slightly as we are now based fully on Earth and Mars isn’t included at all. The film looks absolutely amazing, the graphics are stunning and the 2 female leads of Beckinsale and Biel are as hot as you would expect. But unfortunately it stops there. The film is boring and the hover car chase and the running through the streets and elevators are just lacking that thrill of making it fun. It had this whole futuristic feel of Minority Report meets I, Robot about it which made it very samey. The main things missing from this film are the classic one liners that you got with Arnie in the original. If you are a fan of the original i would stay away from this, just watch the Arnie one again instead. I really don’t have anything else to say about this. TheFriedGold rating 1.5/5 – Consider that a divorce! Well firstly it’s brought to you by the same guy who wrote and directed In Bruge, Martin McDonagh. 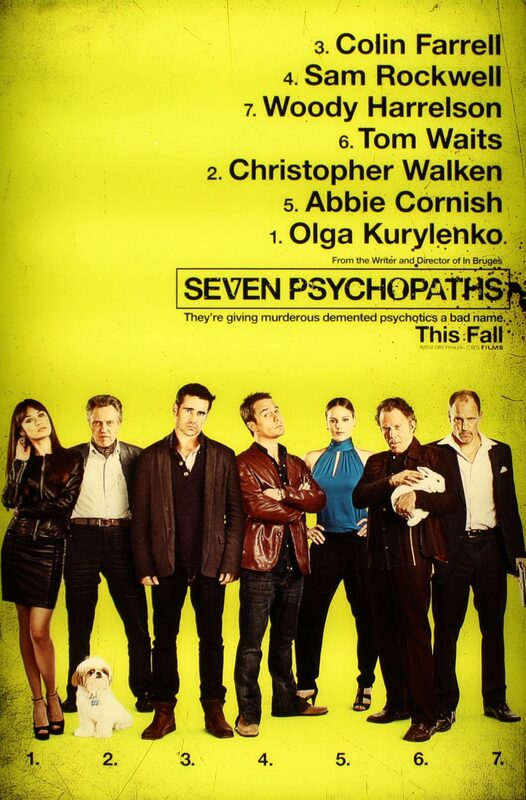 And it stars Colin Farrell, Christopher Walken, Sam Rockwell, Woody Harrelson, Olga Kurylenko, Tom Waits and Abbie Cornish. Starting to sound good. How about the plot. Some crazy guys, who are involved in dog knapping inadvertently kidnap a gangsters Shih Tzu and become entangled in the criminal underworld of Los Angeles. Following thefriedgold’s recent post on top 10 films to look out for in the rest of 2012 and the comment of not having Brave (how can Brave not make the top 10? It’s Pixar dammit) on the list, here are the next 10 to look out for. These could go either way in terms of quality, but I think they could be worth a watch. Crime author Jack has an overriding fear of being murdered. His big break comes followed swiftly by a bigger breakdown. The creator of Family Guy steps in to the film world with this: a boy has a teddy bear that is alive. What happens if the bear grows up with the boy? Reason to watch: Lewd humour and the juxtaposition of a child’s toy drinking and smoking. Could be laugh a minute or all the laughs could be below. Merida, an independent young archer, is forced to undo a curse she has brought upon her family. Reason to watch: Are you kidding? Pixar’s output is second to no-one. Even if you “don’t watch cartoons” I would recommend you see this film – it will change your mind. Plus you get a bound-to-be-excellent short before the main event. See this. Four friends form a neighbourhood watch to get away from their wives. They are forced in to action when they discover an alien invasion plot. A factory worker suffers from nightmares. But are they actually nightmares – could they be suppressed memories trying to return and could he be a spy with the power to change the world? Reason to watch: A remake of the Arnie version, directed by the guy who gave us Die Hard 4.0 (enjoyable action, worthy addition), Colin Farrell headlining, written by the guy who wrote Equilibrium (dsytopian sci-fi). I enjoy a big budget complex sci-fi and if they can get close to the quality of the 1990 version, this could be good. The trailer looks really good. 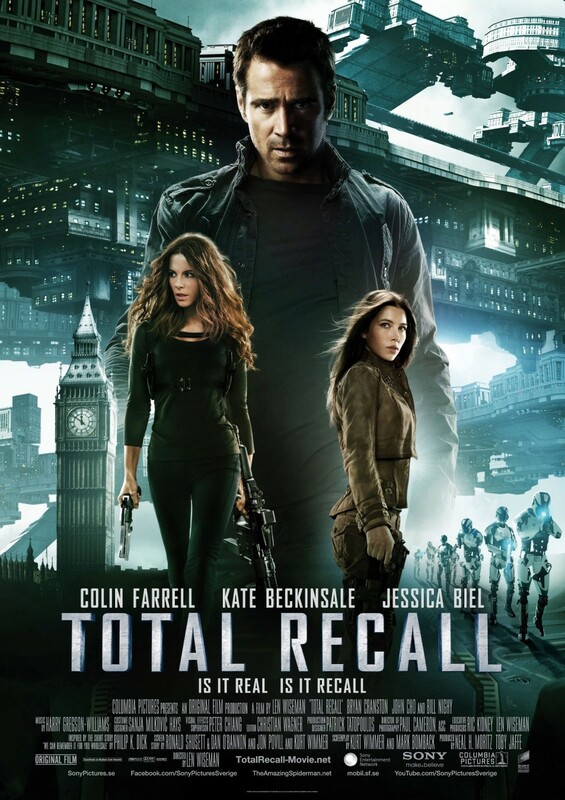 Plus Kate Beckinsale is in it. No nonsense lawman Judge Dredd teams with young Judge Anderson to track and take down a drug supplying terrorist organisation. 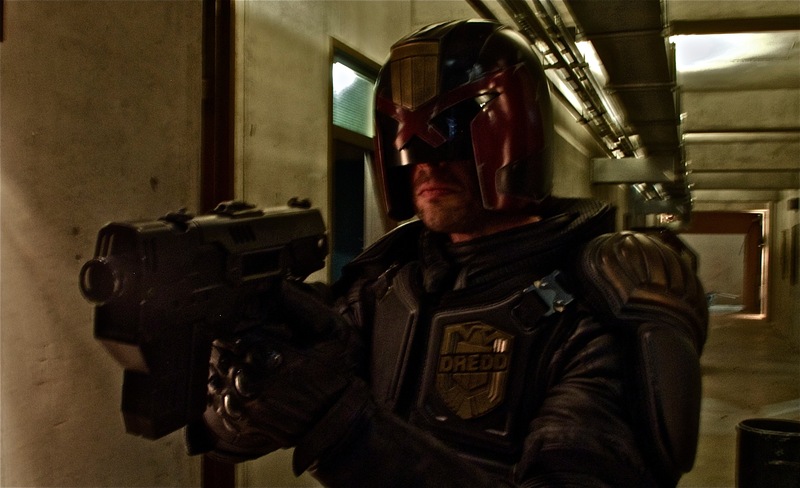 Reason to watch: Forget the Stallone version, self-confessed fan Urban is taking on the helmet and becoming The Law, promising a more faithful interpretation of the 2000AD character. To protect the law and their city, virtuoso flying squad cops are forced to break the law. Reason to watch: An update of the 70’s TV show sees Nick Love and Ray Winstone do what they do best – The Sweeney is a Lahndahn film filled with Geezahs fighting other Geezahs. But this time Love is working with an established property and Danny Dyer is nowhere to be seen so I’m hopeful this Brit-flick, which looks classy in the trailer, is going to be a worthwhile watch. Joe is a hitman, killing people sent back from the future. One day his future self is sent back. What does he do? Reason to watch: We have JGL playing a young Bruce Willis trying to kill him in a time-travel film directed by the man who brought us Brick. Two heavyweight actors and a strong director playing with a mind-bending premise. What more reason do you need? The father of a kidnapper Bryan Mills killed when his daughter was abducted has retaliated by taking something precious to Mills. This has pissed him off and a rampage will begin. 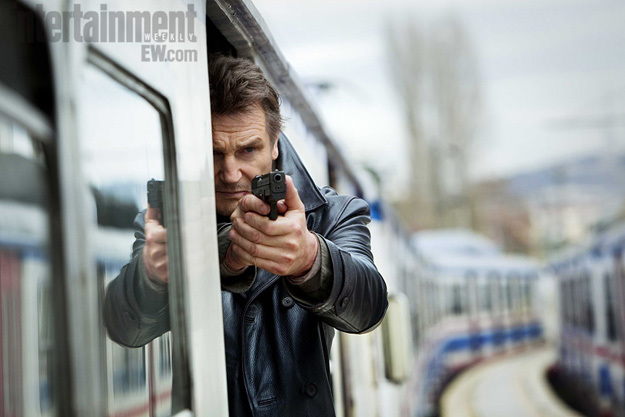 Reason to watch: If you like action films and haven’t seen Taken yet then you have a treat awaiting you. If you have seen Taken then you know exactly what the reason to watch this is: Liam Neeson waging a one man war. Directed by the man with the best name in action films. A young boy, Pi, finds himself adrift in a lifeboat with a zebra, a hyena, an orangutan and a Bengal tiger following a shipwreck. 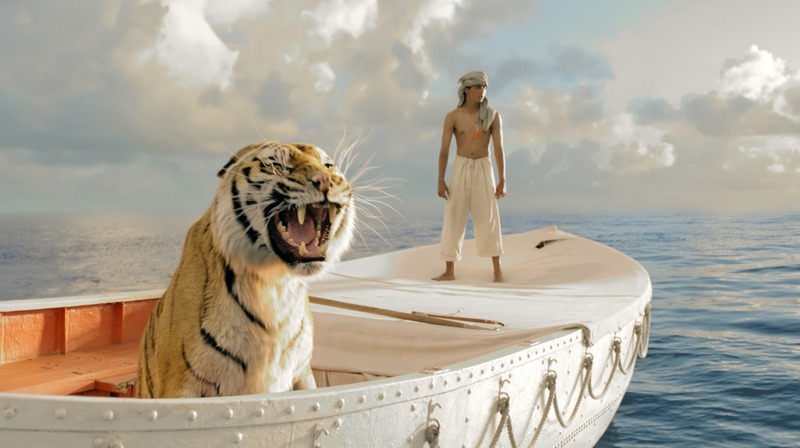 Reason to watch: I’m a big fan of Ang Lee who has a strong record with adaptations (Sense and Sensibility, Brokeback Mountain) and Life of Pi is based on the highly acclaimed novel of the same name. It’s bound to look good, the story will be strong – much will rest on the performance of newcomer Suraj Sharma as Pi. Just out of prison Mitchel, played by Colin Farrell, is trying to get his life sorted and finds himself a new job protecting a film star, played by Keira Knightley. However past friends try to sort him out some other jobs which puts him in direct contact with a notorious London gangster, played by Ray Winstone. Can Mitchel keep away from the wrong side of the law? This definitely has a feel of a Guy Ritchie film like Lock Stock and Layer Cake. The London settings, the stylish London streets and the cast is full of English film and TV actors. Even the music throughout the film is supplied by British bands like Kasabian. The film, being a British drama about gangsters, is full of some extreme swearing with the C word being used in every other sentence. There is a story to follow through the film with Mitchel struggling to live the two lives that he is currently living. As a whole there wasn’t much to the film apart from a couple of funny lines. The three leads seem to play the same characters in every film they are in none more so than Ray Winstone. Would I recommend this film? Probably not. If you never get to see it you won’t be missing out on much. 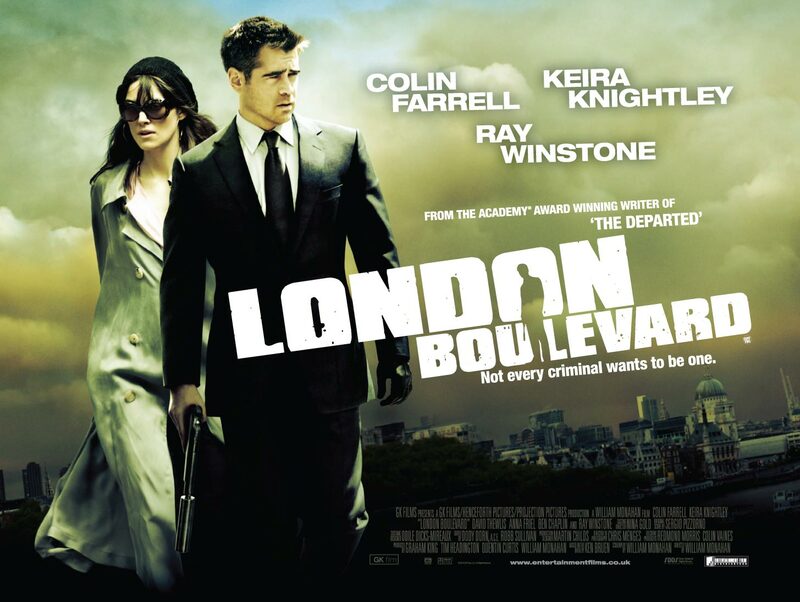 The colourful pictures of Keira Knightley’s character that haunt Colin Farrell’s Mitchel throughout the film were designed and made by David Bailey.